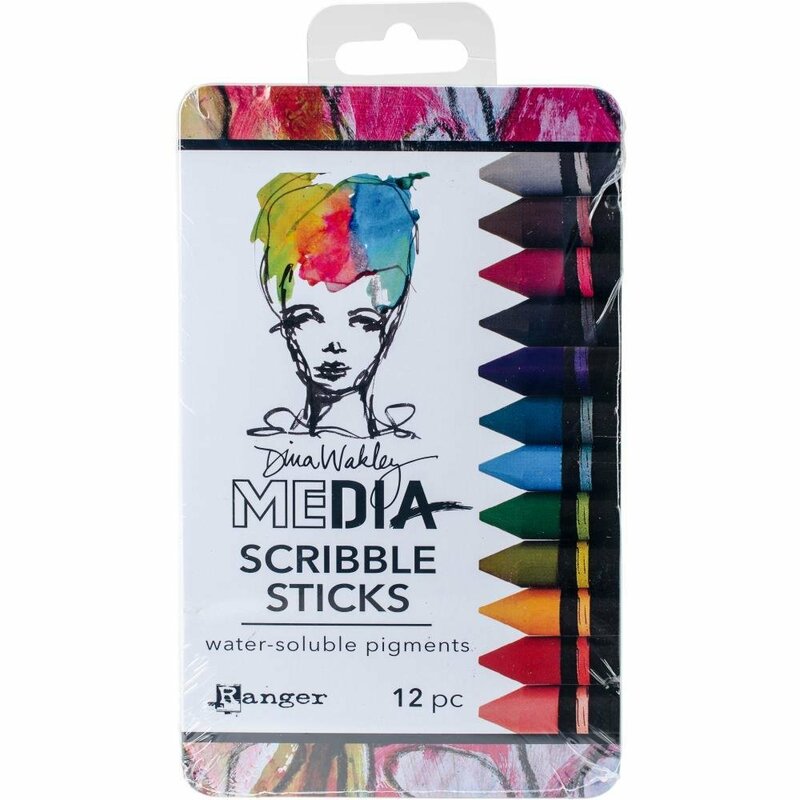 Scribble Sticks are versatile, high quality pigment sticks that sketch like crayons but are water-soluble like watercolour pencils. Create backgrounds and blend colour to a transparent shade using water or create bold, opaque designs, scribbles and marks on top of Dina Wakley Acrylic Paints and other mediums. Package measures 4.5x7.5x0.65 inches and contains twelve Scribble Sticks. Set 2 colours include: Blushing, Sedona, Cheddar, Olive, Evergreen, Peacock, Ocean, Lapis, Marine, Fuchsia, Eggplant and Elephant.